It's been a busy start of 2018 for us. Well, I guess it's the same for everyone too. You know, sometimes I do wonder what we are occupied with. Is it the never ending work, or in my case, household chores? Is it about the kids' schoolwork, which only increases over time? Is it endless spellings that I'm not sure are meant to test the kids or the parents' patience? Is it looking after babies who are home all day and never seem to give you a moment's peace? 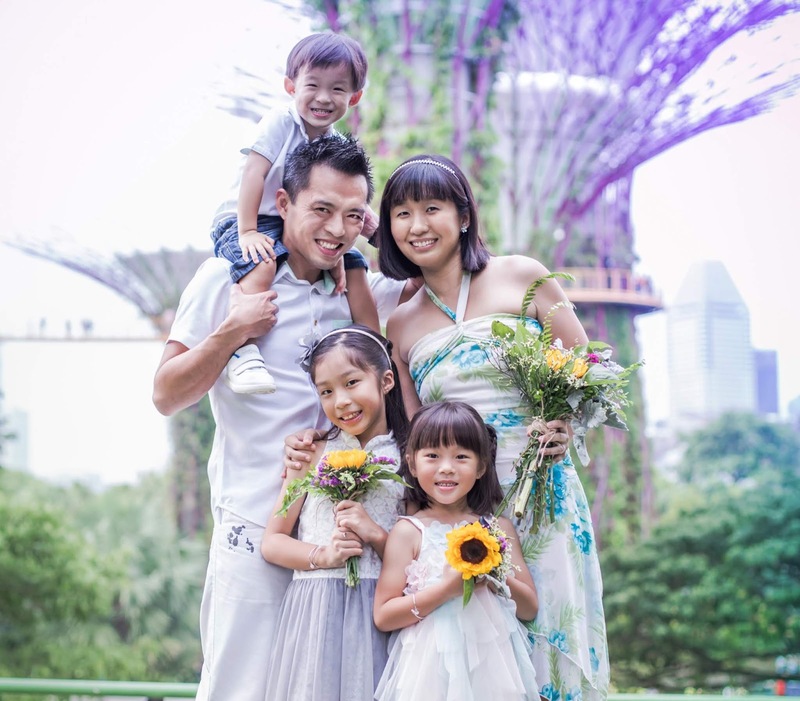 Is it getting ready for CNY which is just around the corner? Is it trying to stay connected with friends and family despite everyone is so caught up with their own busy lives? For me, I think it encompasses all of the above and more. 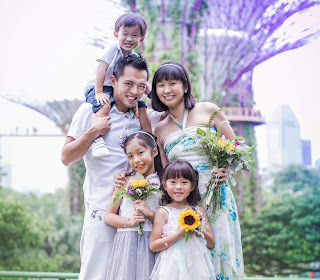 I still try to cook at least 5-6 times a week for the kids, I do the washing, vacuuming, laundry and ironing, I decorate the house and get it ready for CNY, I make somewhat feeble attempts to keep the house clean, I fetch the kids to school every day and bring them to and fro their enrichment classes, I am still trying to keep the blog alive and since me-time only happens late at night for me, I sacrifice much of my sleep to continue this hobby. I think that's why I'm finding 24 hours a day to be insufficient for me to do everything that I want to do. Yup, I admit I'm quite an overachiever at times and I don't know what it means to take things easy. 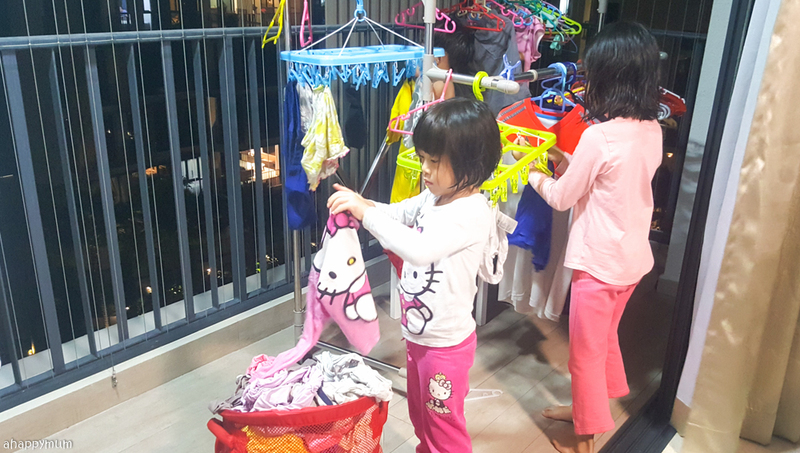 One way or another, we are still going to make ends meet with no extra pair of hands, no helper, no part time cleaner - all I have are my three little 'helpers' and a hands-on hubby but who needs to be away often or works late into the night most of the time. Yup, solo parenting, I am so not afraid of you and confident to tackle you any day. In this post of "Happiness is...", it's about me learning to let go. And I mean that in many aspects, not just one. I cherish our family weekends a lot because these two days might be the only days of the week that the kids get to spend with their Papa. 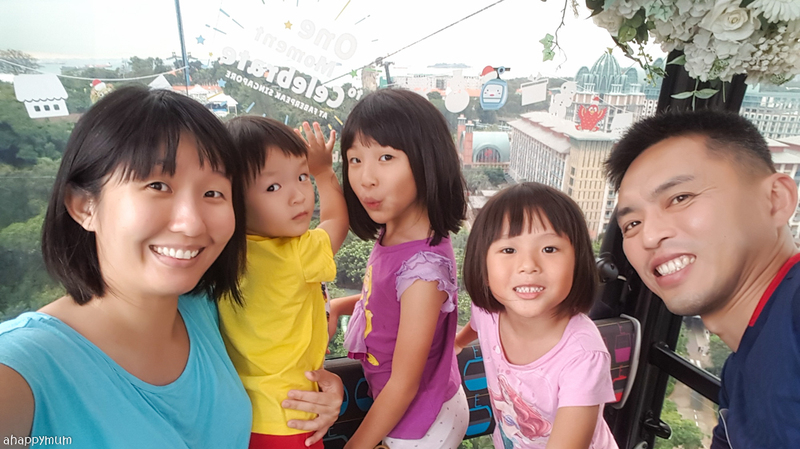 While we previously used to think of new and exciting places to explore and always went on family adventures, I try to let go a little more now because it really doesn't matter so much what we do or where we go - as long as we are together. Many a time, I leave it up to our spontaneity and we would decide that morning on where to head to. It's challenging but also thrilling to have to make plans last minute, as well as pack our barang barang to suit the occasion, but I'm kind of getting used to and liking it too. Carpe diem, people, let's seize today! 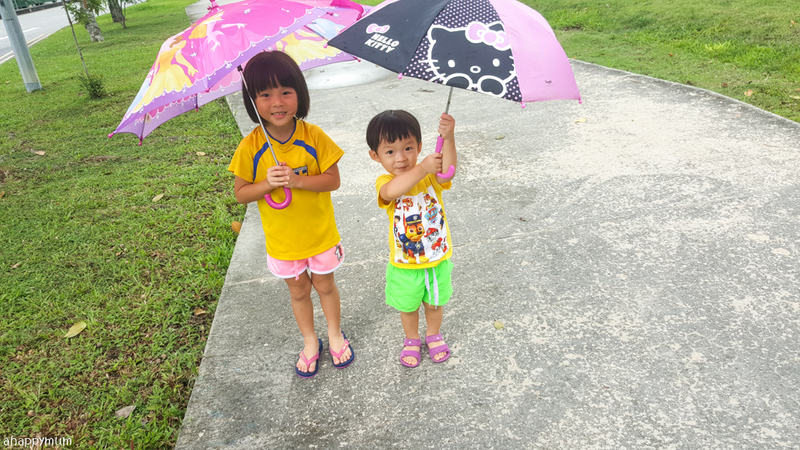 The weather hasn't been that kind last month but we still went out twice or thrice a week. All right, I admit we were caught in the rain more than once last month too. 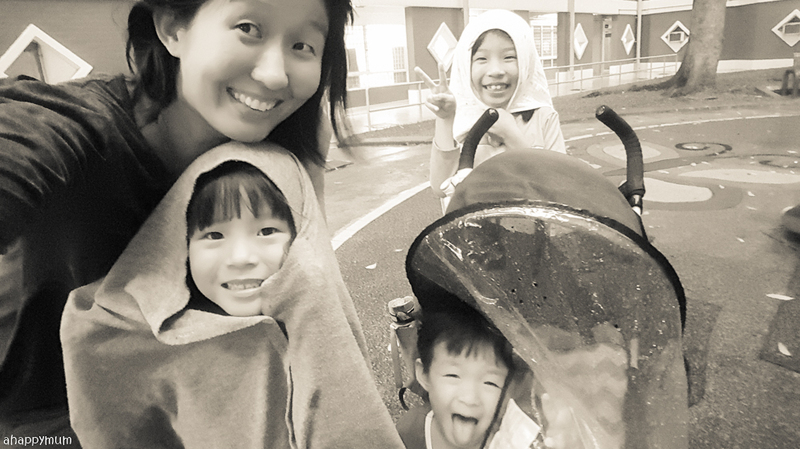 Yes yes, this Mama never learns her lesson but you also have to understand how much things I am already bringing out every time I go out with the kids. 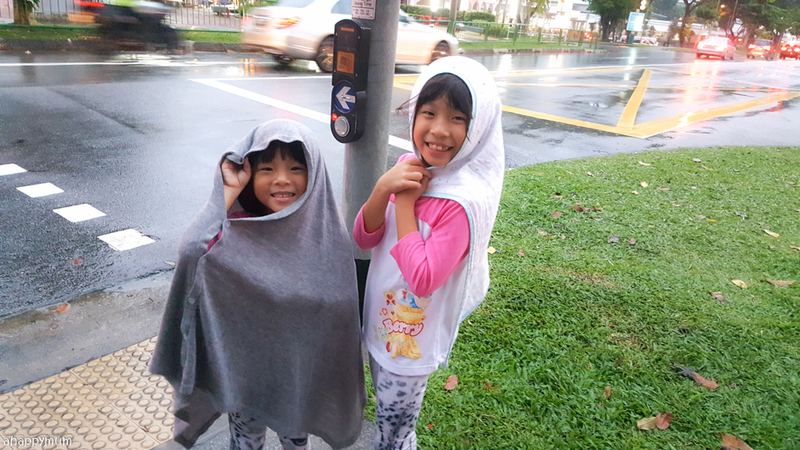 At least, I usually have one rain cover or shawls in my bag so that the kids can use them when it rains. Haha. 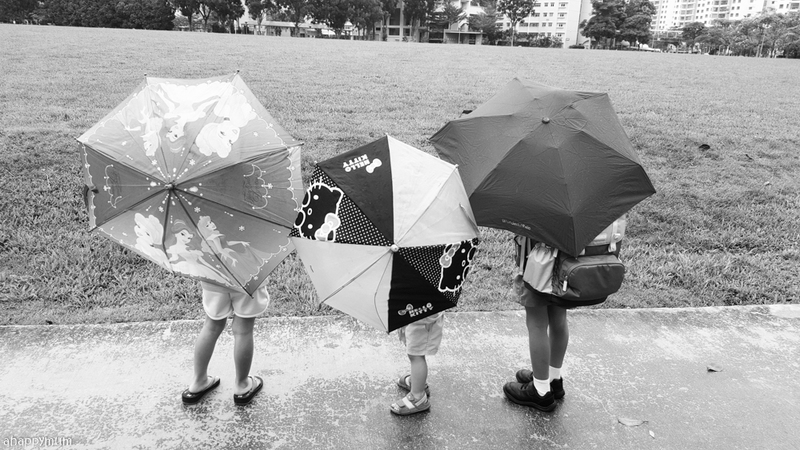 While others might perceive me as a forgetful or even lousy mum to let my kids 'suffer' in the rain, I think we kind of enjoyed it and it was that kind of experience that we won't forget easily. In any case, I've never really been too bothered by what others say because after a while, you realise what matters is what you believe in and what you do. 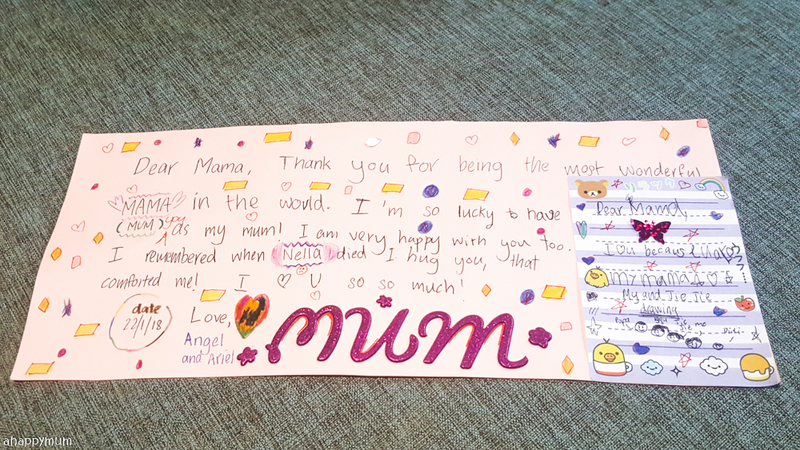 The firstborn began her Primary 3 journey in a new school this year, so that was a huge change for her and for us too. Read more about our reasons why and how the transfer process works here. People have been expressing their surprise, and sometimes worry and dismay (including my in-laws), when I tell them that my girl has started coming home herself this year. It might be a short walk but she has to cross a two-way road, a crossroad junction with traffic lights and two zebra crossings to get home. I made the decision not just because it would be much easier to put the two younger ones down for their afternoon naps without needing to lug everyone out of the house under the hot midday sun just to pick her up, but also because I think this girl is ready to be more independent. My mum used to let me go to school and come home myself starting from Primary One. What is it that is stopping parents nowadays? I'm not really sure but I know I told myself to let go, to worry less and trust more, to give her the opportunity to learn, to make mistakes and to grow. It's been a month since she has come home by herself and so far, it's been working out great for us. Phew! 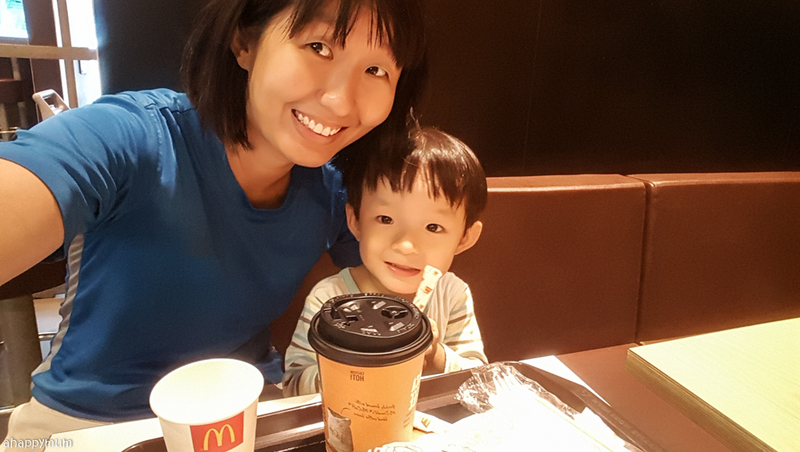 I've been enjoying my one-on-one mornings with the boy after sending the girls to school. 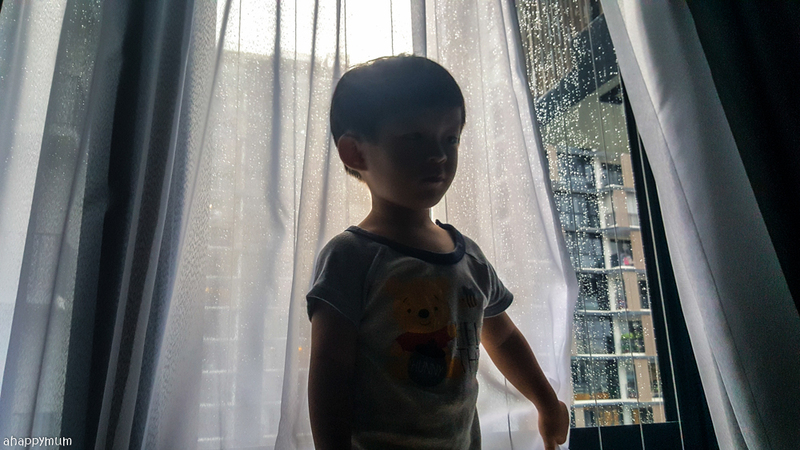 Yes, this little boy wakes up with us at 7am every day so that he can send his beloved sisters to school too. After that, we have 3.5 hours of time together before we need to pick the second sister. On some days, I try to make lunch but that would mean I have to leave him alone to play or let him watch TV. On other days, I tell myself that it's okay to eat out and we will just head to the food court after picking the sister. On another point about letting go, I have let the boy start eating on his own since he was, I think, a year old? He makes a huge mess at times, still does, but I have to remind myself that it is okay. 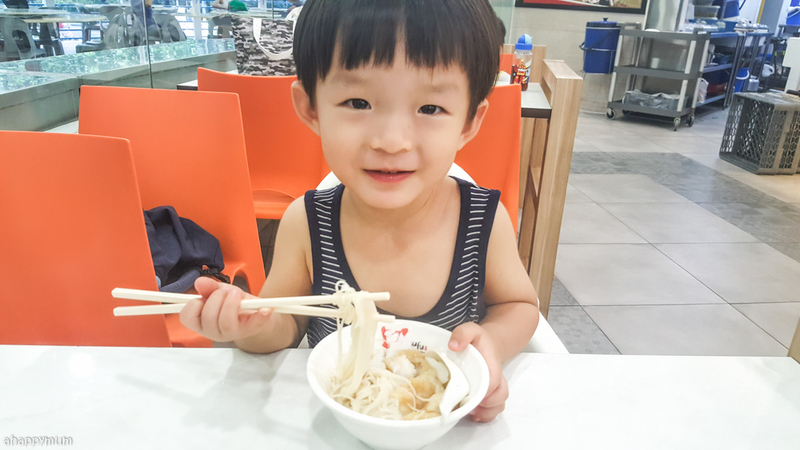 Seeing how adept he is at using chopsticks and feeding himself nowadays, which means I have the luxury of eating my food before it turns cold, I think the messes were all worthwhile. I take the kids for art classes and Heguru classes weekly and we always dine out after that. That means out of 10 meals, including lunches and dinners, from Mondays to Fridays, we have eight left to settle on our own. Out of these eight, I try to cook around 5-6 of them. 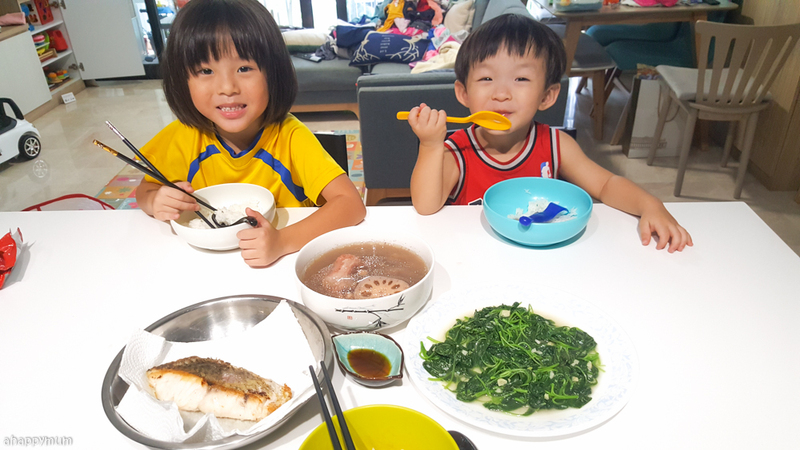 They are usually very simple meals (you can see from my pics) and I also usually cook bigger portions of soup so that I can have leftovers for the next day and just dump some fishballs/vermicelli/vegetables into it for a quick fix lunch. 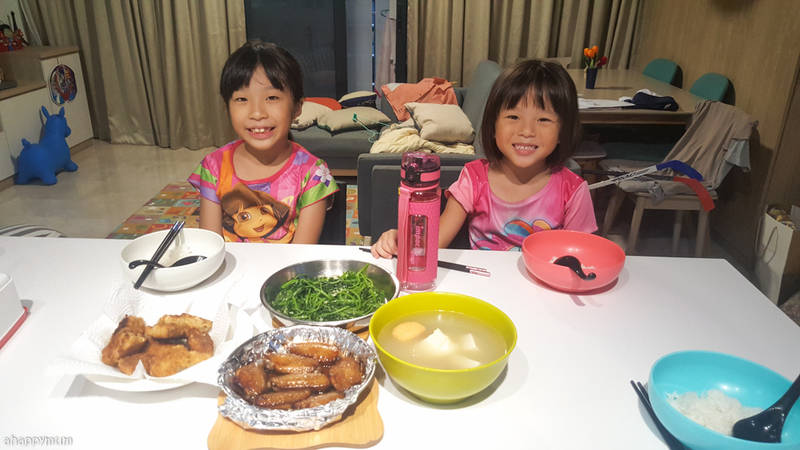 I admit I'm not a good chef and I'm not hardworking in researching for new recipes, but the irony is that my kids love my simple homecooked meals and will always eat their food with glee and say "Thank you, Mummy, for cooking for us." That has to make everything feel worthwhile, right? 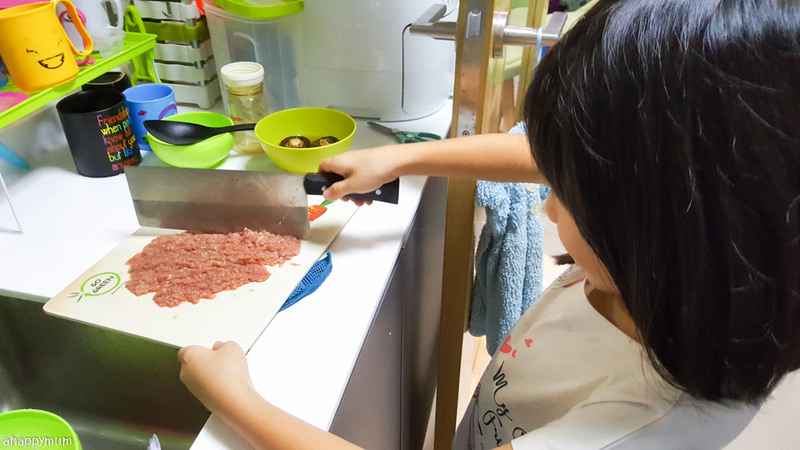 Back at home, I've tried to include the kids in the kitchen more every since the year began. 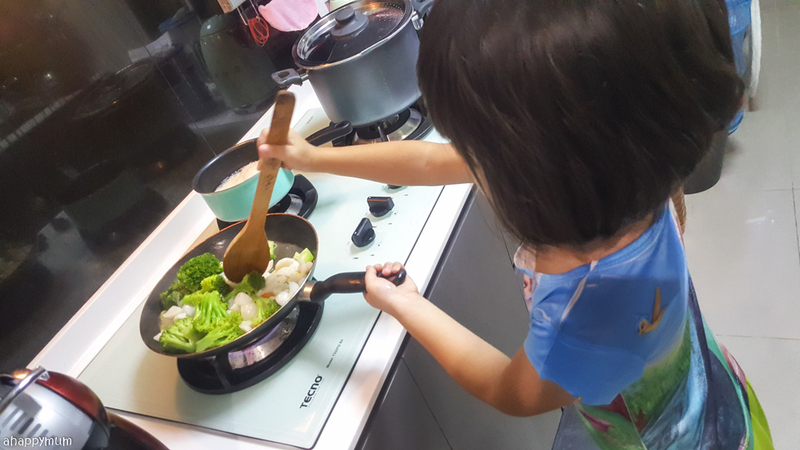 I let the eldest try mincing meat using the cleaver, I taught her how to fry a sunny side up and omelette, I let her learn to peel potatoes and carrots, I gave the middle one a try at frying vegetables, peeling vegetables and preparing ingredients, and I also didn't exclude the two-year-old but let him try out simple tasks like beating eggs and washing rice too. It's true that they don't always do it well and they can more than double the time I would need if I did everything myself. It's also true that they have made messes and I wondered if it was a smart move after all to let them try. But seeing the look of accomplishment on their faces and how they sit at the dinner table with pride knowing that they played a part in cooking it, that is priceless. It's also a good reminder for me that I have to let go of some things that won't matter after a while, yet hold onto those that truly do. There were some days that I felt more exhausted than usual and to admit, I did lose my cool at the slightest things around the house. 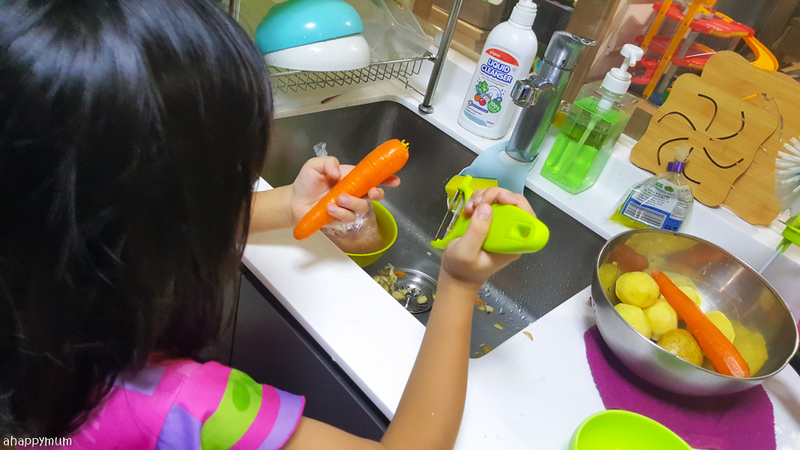 I nagged at the kids incessantly, I chided them for not taking responsibilities for their own chores, I reminded them time and again to step up to their plates, I even told them that if this were to continue and that I feel so tired before the chores are done at the end of the day, we might have to engage some help. I didn't mean it as a threat but as a real consequence that might happen because I was really deadbeat on some days when the hubby didn't return, when the three kids didn't give me even a moment to breathe, when the stars just didn't seem aligned and the day didn't go as well as it could have been. It's like something just snapped in place and the girls just suddenly got it. They understood. On not just one but a handful of days in January, I woke up from my afternoon nap with the baby boy to find a surprise in the living room for me. Besides the very sweet handmade cards and messages on the white board that says "I'm the best Mama in the world", I also wake up to a cleaner floor, tidied up tables, neatly put away toys, folded laundry and more. See, magic, right? It's like those years of nagging, chiding, teaching and reminding suddenly worked. Just like that. I told them to help out more in the house on weekdays so that we can play on weekends, I told them everyone had a part to play in the chores because we all lived in the same house, I told them that Mummy would really appreciate every little effort they put in, I told them they are capable of doing more than what they think they can as long as they try. And they went above and beyond what I could have ever asked for. Thank you, my girls. On the topic of letting go, January 2018 was the first time my kids learnt about loss and grief. 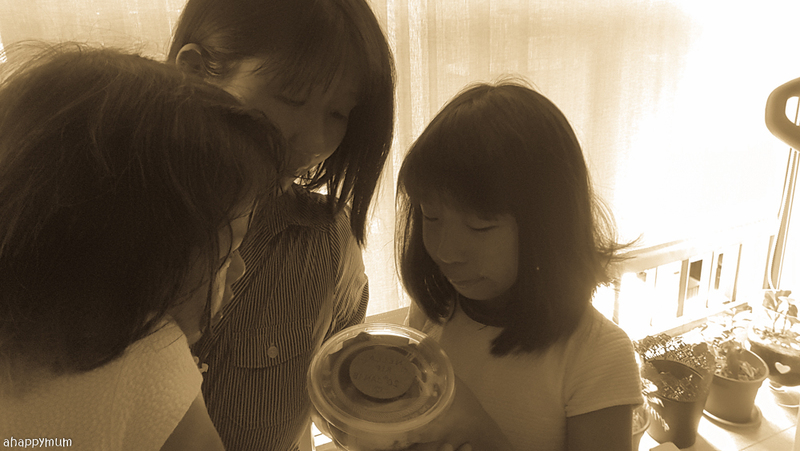 You see, one of our beloved hamsters unfortunately left us and the kids were totally devastated. It's funny how I was actually the first one to shed tears but once I did, their dams broke open and there was no stopping their tears. It broke my heart to see how my eldest girl wept. Unlike her younger sister who let it all out and bawled incessantly for nearly an hour, she wept in a much quieter manner but that look of sorrow on her face, it was something I've never seen before. 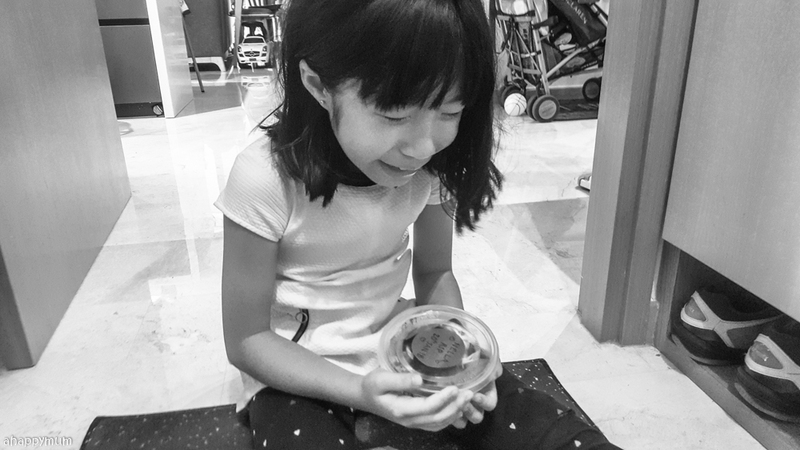 Yes, you might say it was just a pet, just a hamster, but it was something that mattered dearly to her and it was the first time she had to learn to let go. 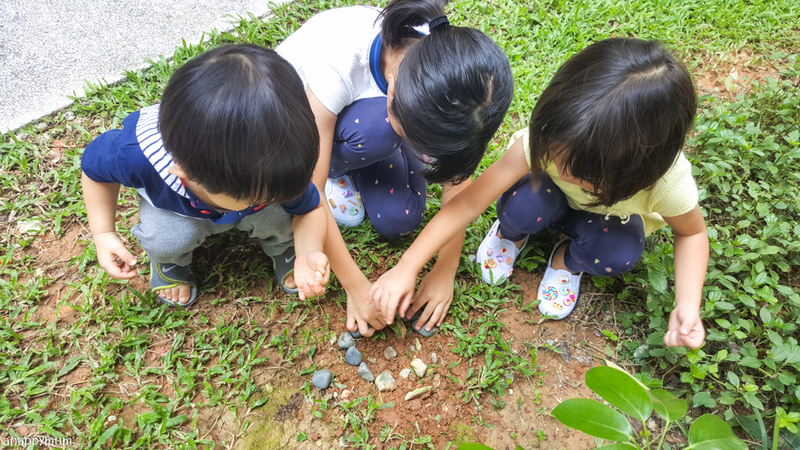 We hugged, we held hands, we wrote goodbye notes, we said our last farewell to dear Nella, we had a moment of silence before we buried her and the kids drew a tombstone, filled with lots of love and tiny hearts, for her. I know there will still be many more life lessons waiting for us and it will not be easy to learn to let go of some things that we hold close to our hearts. Even for me, I'm still learning what it means to let go when it comes to being a mum. It's hard, it's tough, but I hope I'll slowly get there. Till the next "Happiness is..." post!